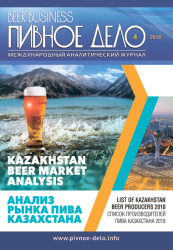 Over the years, Anheuser-Busch InBev has achieved a lot in the Chinese beer market. 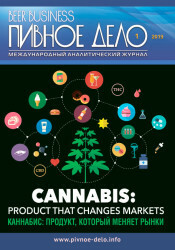 The company believes that they should go beyond the beer the time has come to ¬explore new directions of the alcohol industry. 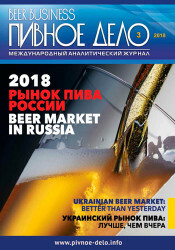 According to studies carried out by AB InBev, 70% of sales of alcoholic beverages are accounted for the beer, the remaining 30% for other types of alcohol. The company decided to enter this small niche by launching two new drinks: Charm Night (MixxTail) and JA Apple wine (Johnny Appleseed Cider). 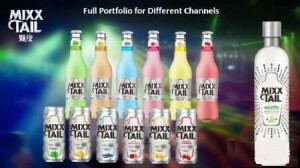 Mixx Tail is an alcoholic cocktail with six different flavors. Charm Night will be sold in large packages for nightclubs and bars, as well as in small bottles and cans for retail chains. 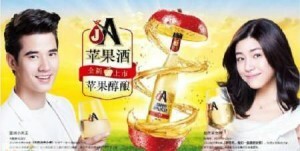 JA cider is more designed for women and youth of China. In recent years, the consumption of cider in the world is growing rapidly, while in China it is undergoing the stage of its formation. However, AB InBev considers 630 million of Chinese women as potential consumers of cider. The advertising campaign of Johnny Appleseed Cider is based on three main theses: the usage of fresh apple juice, natural fermentation and a pleasant taste with refreshing bubbles.